Emirates NBD Asset Management’s new real estate investment trust (REIT) has acquired Dubai’s first purpose-built student accommodation block for AED120 million ($32.6 million), it announced on Tuesday. Nasdaq-listed ENBD REIT said it had acquired the 424-bedroom residence on a seven-year sale-and-leaseback agreement with Global Student Accommodation (GSA). The acquisition is ENBD REIT’s first in the student accommodation segment and the first since its listing on Nasdaq in March. It is part of a strategy for diversifying its asset portfolio, the REIT said. The property, Uninest Dubailand, was built in 2016 and is the first of its kind in Dubai. 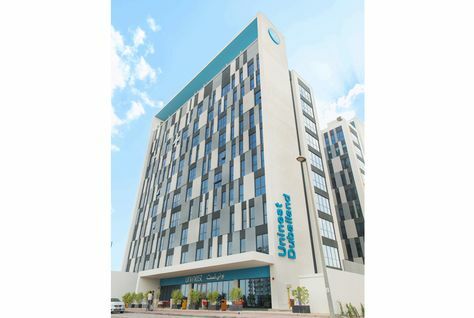 It is located close to Dubai Academic City and built to serve students attending more than 30 institutions across the city. Under the deal, responsibility for managing the property will remain with GSA’s operations team, under the Uninest Student Residence brand. Tim Rose, head of real estate at Emirates NBD Asset Management, said: “This is an important step in our capital deployment programme and a key milestone for the process of diversifying our portfolio beyond traditional asset classes. GSA chairman Nicholas Porter said: “I am delighted that GSA’s work to bring purpose built student accommodation to Dubai has attracted the attention of such a well-respected partner with a track record for investing in high quality, income generating assets in the UAE. The acquisition brings ENBD REIT property portfolio’s total value is $349 million, with a net asset valuation (NAV) of $297 million, or USD 1.17 per share, and an 86 percent occupancy rate across the portfolio. All rights reserved to the initial publisher for Arabianbusiness.